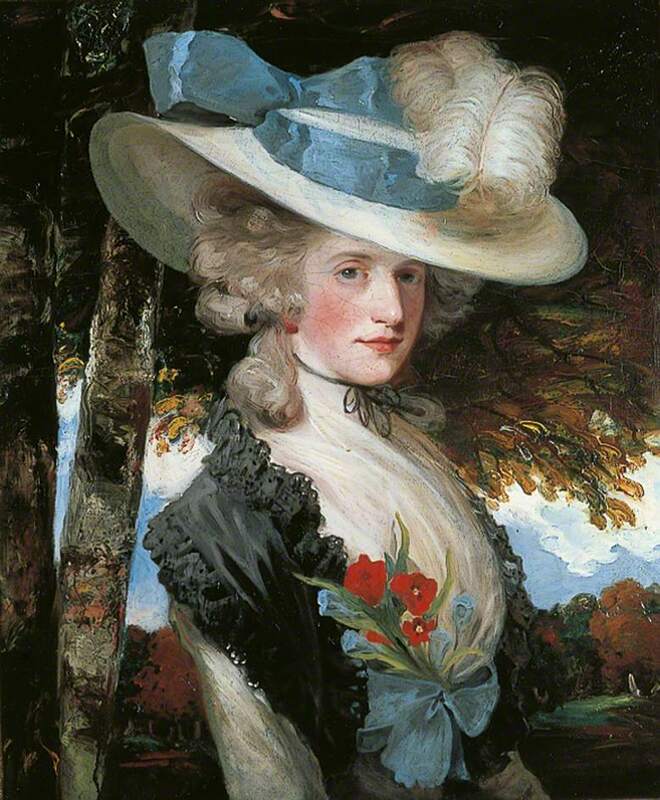 Straw hats were fashionable for women of all social classes, from very plain for the lower class to ones highly decorated for the elite throughout the Georgian era with many being imported, mainly from Italy and Germany, but Bedfordshire became the major manufacturer for straw hat making in England. In the night of the 3d inst. The weather being very tempestuous, a ship was cast away and beat to pieces of a point of land about three miles to the south-west of this town, and no persons saved or yet seen; nor do we know of anything of value saved. The country people have taken up a great number of straw hats and some loose juniper berries. And this one from Applebee’s Original Weekly Journal, 1st July 1721. Some days after one William Allen was committed to Newgate gaol, being charged upon oath, as also on his own confession, upon violent suspicion of stealing fifty Leghorn straw hats, the goods of Captain Andrew Elcam. 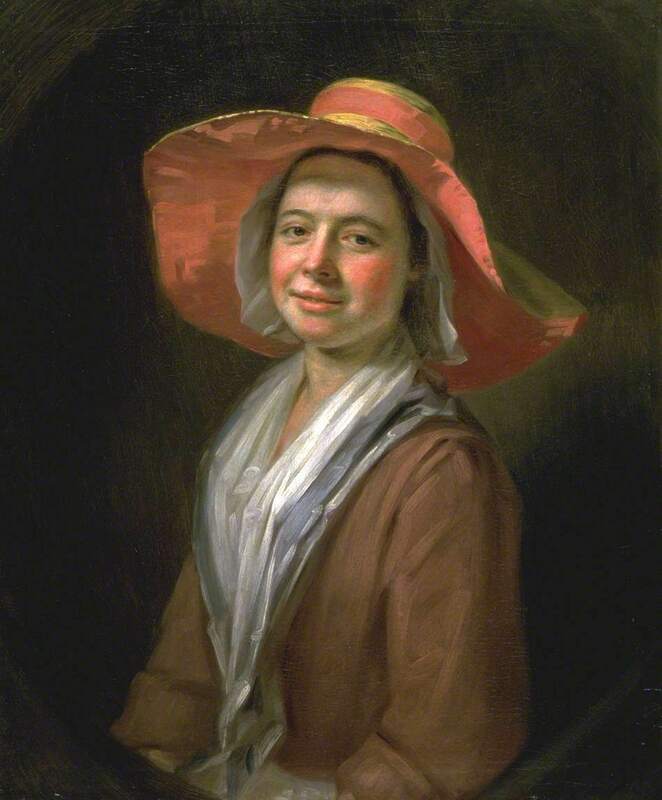 In the early 1700s we were importing straw hats, from Leghorn, Italy and Hamburg, Germany; for example, in just one week, 15th – 22nd April 1728, London saw the arrival of 287 dozen straw hats and by 1731 this had increased to 636 dozen which decreased 480 dozen by the turn of the century. 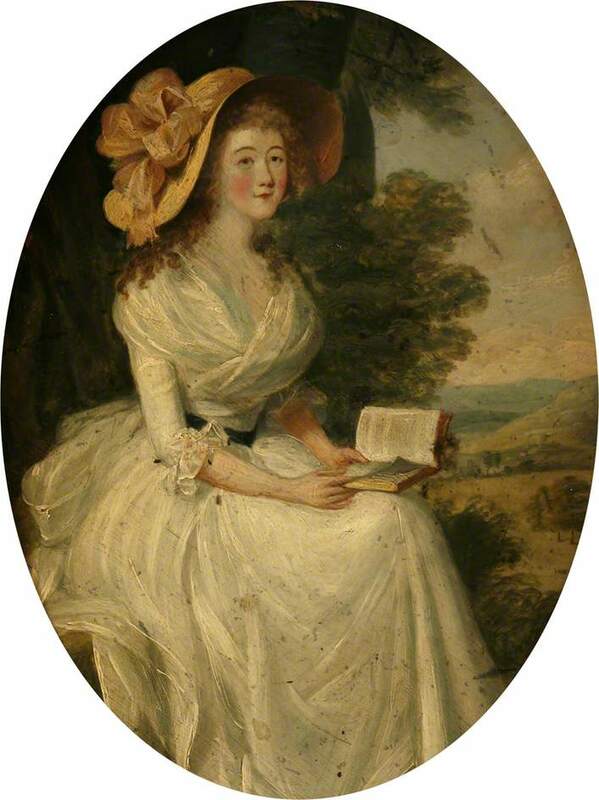 Whereas a silver watch, with a silver chain to it, was this day offered to be sold to a tradesman in this town by a very suspicious person, who said her name was Ann Brown, about twenty years of age, of brown complexion, short stature, dressed in an old green gown, checked apron and straw hat, who is committed to prison for further examination. 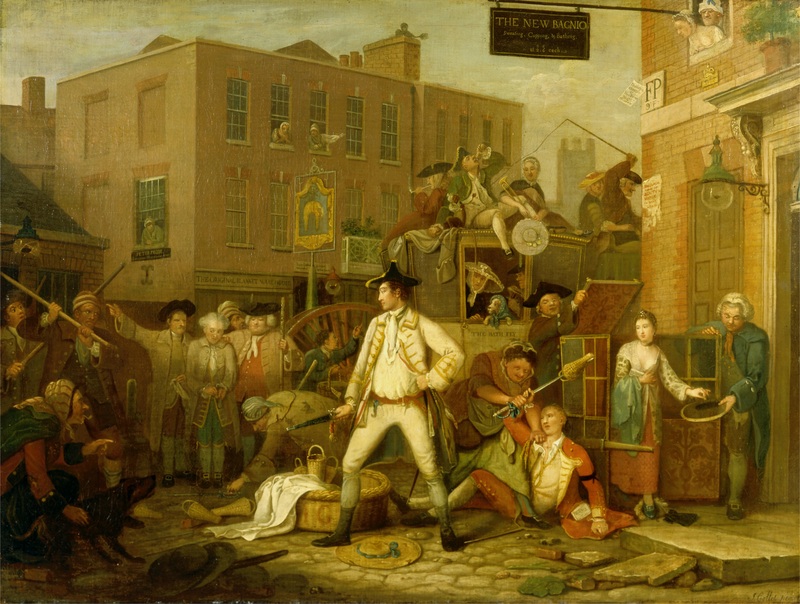 It was clearly a very lucrative trade to be in, as in 1747 a Mr White, of Newgate Street, a wealthy dealer in straw hats died and according to his will he left in excess of £5,000 (about half a million in today’s money). In 1751 in Constantinople and the surrounding areas there was a great plague, so, in order to prevent the spread into England ships and their crews were quarantined for 40 days and all goods on board the ships had to be opened and aired to remove any possible contamination, goods included goat hair, wool, raw silks, straw hats and all goods packed in straw. 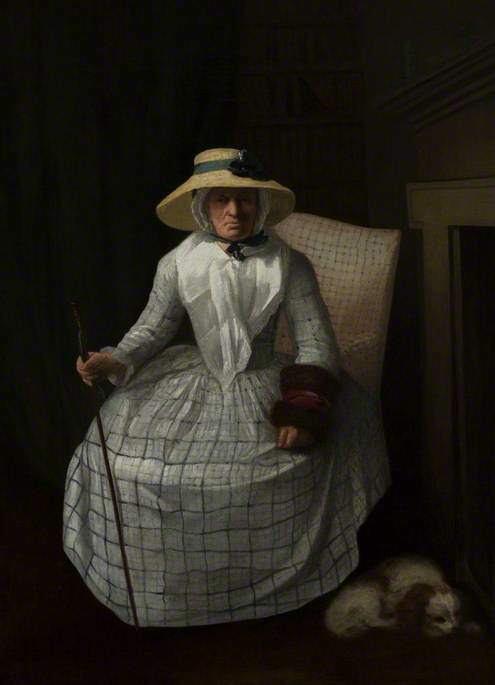 The Oracle and Public Advertiser of 23rd January 1795 reported that the manufacture of straw hats was now being performed by prisoners, who were earning substantial sums from making such items. The hair in small curls and ringlets, white satin ribband drawn through it. 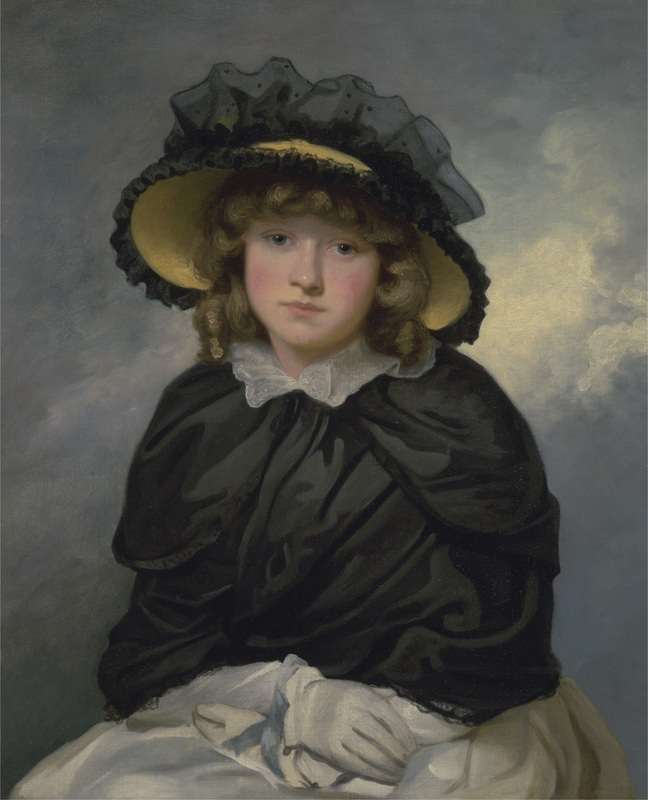 Straw hat, variegated with a Vandyke border; rose-coloured handkerchief over it, tied on the left side with a bow; green veil. 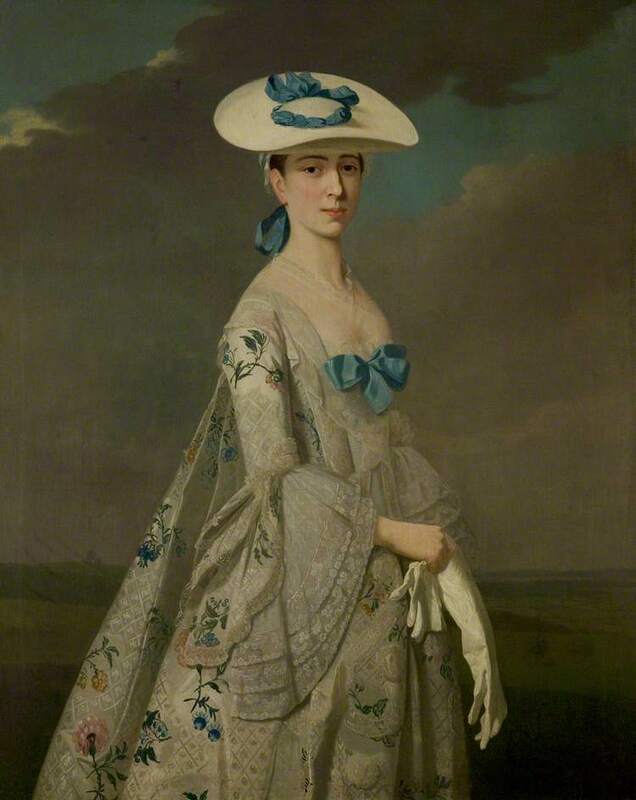 From the turn of the century straw hats, à-la-Pamela were popular for informal wear and widely worn well into the 1810s. 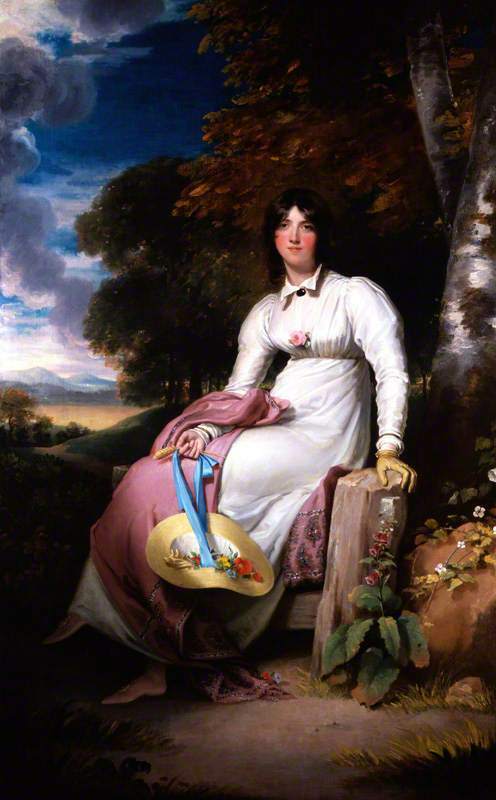 In August 1815, La Belle Assemblée reported on the continued popularity of the chapeau à-la-Pamela, worn far back on the head with a tulle and lace cap underneath. Leghorn hats were still in vogue and worn with a simple plume of marabout feathers and were made to turn up behind and turn down again. They would have been adorned with ribbons or bows. Straw hats were often worn with flowers of two colours and adorned with corn poppies with a bunch of ears of corn. You only have to take a cursory glance at John Collet’s ‘Bath Fly’ to see how popular the straw hat was! We can see 4 in this picture alone. Straw hats “a-la-Pamela” Which Pamela would this have been? 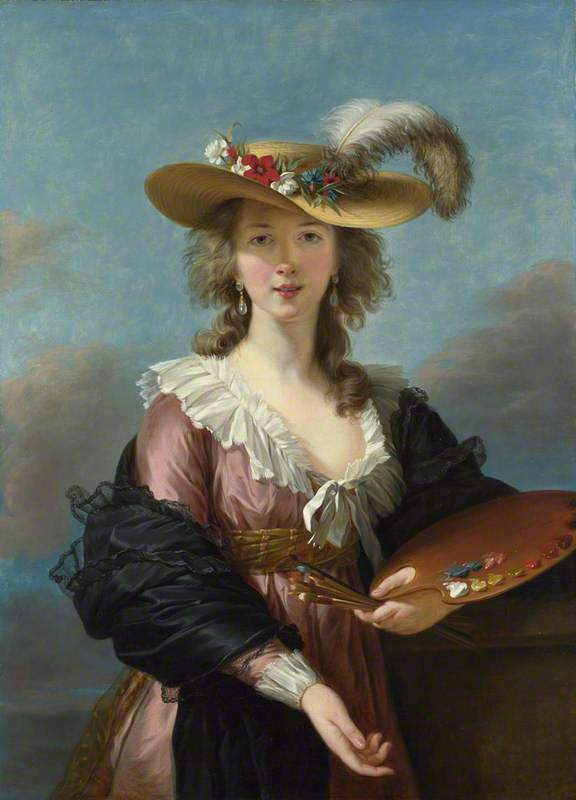 Elizabeth-Louise Vigee le Brun, the artist….did you know that she set the fashion for showing the mouth a little bit open? In her self-portrait, she shows this as she had perfect teeth and wanted to show them off! Before she set this fashion, everyone had their mouth closed. Pamela, named after the heroine in Samuel Richardson’s novel of that name. No, we didn’t know about the teeth – you learn something new every day.